Each Scoring Book is a complete set of score sheets for the Comprehensive Aphasia Test bound together in a convenient booklet with intuitive layout for scoring of each sub-test. Front page features a client information sheet for easy filing, whilst a master page allows for recording re-test scores in the same place for easy comparison. 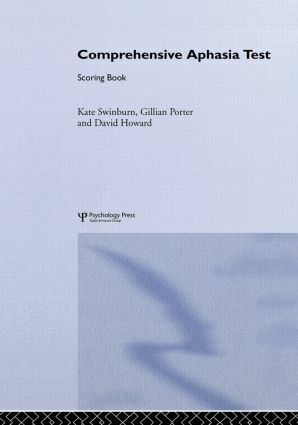 Scoring Books are supplied in packs of ten. * create a profile of strengths and weaknesses to guide therapy. Structured around fully up-to-date models of language processing from cognitive neuropsychology this test is an indispensable resource for speech and language therapists and researchers. It provides as much information about people's language ability as possible in a relatively brief test designed to be completed in 90-120 minutes.